I missed the Merry Christmas Wish to everyone and Happy New Year! I hope you all had a great one. So far this year I have been busy...I have been working out and visiting friends a lot. Trying to get out of the house a bit more. It's a bit of driving because I live out away from the larger city where everything is. But that is okay, sometimes living in the city can be nice I guess, but it is quiet where we live and the crime is very very low. So how can I complain. 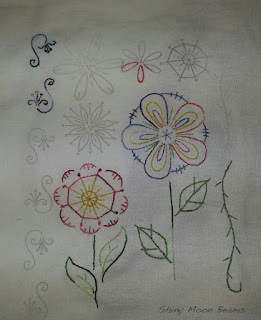 I have been working on embroidery this year. 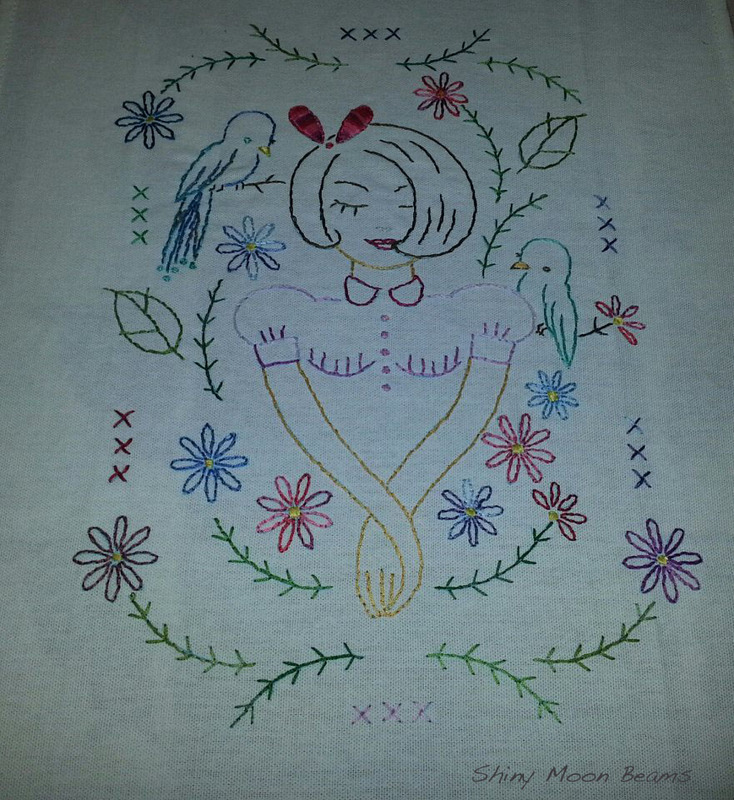 My step granddaughter loves to do this and I am a cross stitcher. In the 70's I did this, but not much since I had kids. 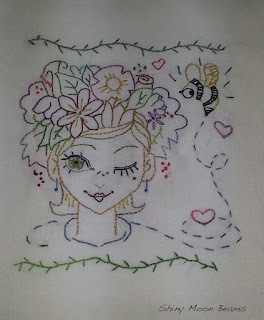 When at Christmas Kayla wanted me to get her Embroider things I was ecstatic a crafty kid! yay!!! even though she is not my granddaughter by blood we are the crafty gals in the family. I need to make one more then I am going to make a quilt with them. They work up really fast. I have made all these within the past week. 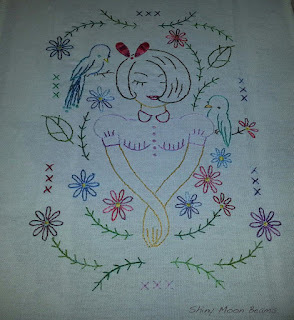 This is a lot faster than cross stitch!!! Steve is getting ready to upgrade my craft room again getting rid of the desk and making me even more work space! I am one lucky girl! See my craft room here. I have not even posted the most recent updates so now I will wait until Steve works his magic! The weather is very cold low temp at night has been 22 F. Brrrrr! Well that's a bit all for me...hope you're having a Happy New Year! Hi Kat, So great to see you tonight and thank you for your visit and kind comment. Sounds like you have been busy and enjoying creating. Love the stitch work you share here too. Always fun to have someone in the family share the same crafty interests. Wishing you a wonderful new year in 2013 and many joys and blessings. I hope you had wonderful Holiday's! 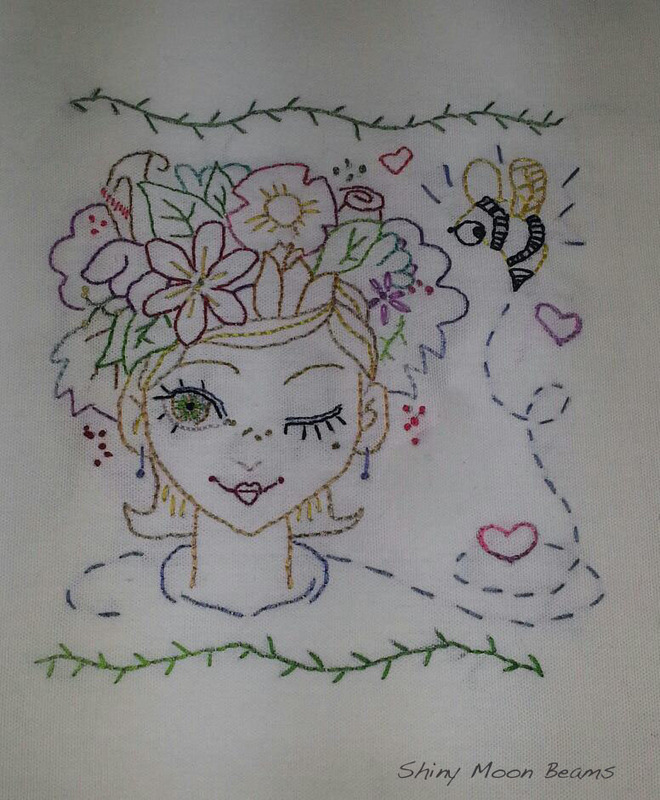 I love your embroidery. Very pretty! Have a wonderful Wednesday. What a nice thing Steve is doing for you. He seems like a really sweet guy. I love how your craft room looks now but,I can't wait to see your updated craft room. Your embroidery is coming along nicely. No one in my family does crafting or any type of artistry. I am the only one. It is nice when you know others who also love crafting. Wow these are all just terrific! !